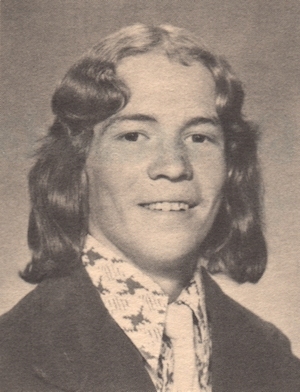 Obituary – Thedford, Denton Rex « Perry High School Alumni Association, Inc. The body of Denton Rex Thedford, 21, southwest of Perry, was recovered from water at Perry Lake CCC park lake at 3:45 p.m Sunday to end a search that began Friday evening. Arrangements for services were pending Monday at the Parker Funeral home. The body was taken late Sunday to Oklahoma City for an autopsy by the state medical examiner to determine cause of death. Local examination indicated death probably was caused by drowning. An examination was made locally by Dr. Charles E. Martin, Noble county medical examiner. Police Chief Mike Wolfe said there were no marks on the body to indicate anything other than an accidental death. Officers, firemen and volunteers searched in the lake off and on since Friday evening for Thedford. His body was first spotted by Larry Voss, a former fireman, in a search boat with Fire Chief Jack Shaw. Nearby at the time were Gene DeGraffenreid and Darrell Habben, two volunteers, also in a boat. Near the scene on the bank at the time were Alan Foster, assistant district attorney; Mike Wolfe, chief of police; John Hall, city policeman; and Joe Habben, a volunteer. The area where the body was recovered was near the spot he was last reported seen swimming in the lake. Swimming is prohibited in the lake. The area in which he was found was in the middle of the channel leading to the main shelter and water was about 15 feet deep. The area is a short distance south where swimming was permitted many years ago. When found, the body was clad in jeans and socks. A pair of shoes were found in Thedford’s car located Saturday morning on the Safeway store parking lot. Thedford had been at the lake park Thursday evening with three other young men and a young woman, all ranging in age from 19-23. Robert Bornt, the lake caretaker, Thursday had asked the young people to leave the lake at closing time at about 9:30 p.m. Chief Wolfe said earlier the young people did not tell Bornt Thedford was swimming and left the park. At dusk Friday evening, Thedford’s grandfather, E. J. Kemnitz, reported Thedford missing. Chief Wolfe said the young people had not reported Thedford missing Thursday night or during the day Friday. A search at the lake park was launched immediately Friday evening following the report Thedford was missing. A highway patrol plane was used during the noon hour Sunday to fly low over the lake to try to spot the body in the water. Chief Wolfe was the spotter from the plane, but could only see moss and plant growth beneath the surface. Thedford was born Sept. 29, 1958, in Perry, and grew up in the local area. He attended Perry schools and had been employed by Gene’s Roofing of Perry. Among survivors are his father, Darrel Thedford, Fort Lauderdale, Fla.; his mother, Mrs. Bill (Rose) Sager, Kenai, Alaska, who has been visiting here; two brothers, Dustin Thedford and Devon Thedford, both of Perry; and his grandparents, Mr. and Mrs. E. J. Kemnitz, southwest of Perry, and Mr. and Mrs. Walter Thedford, Enid, formerly of Orlando.